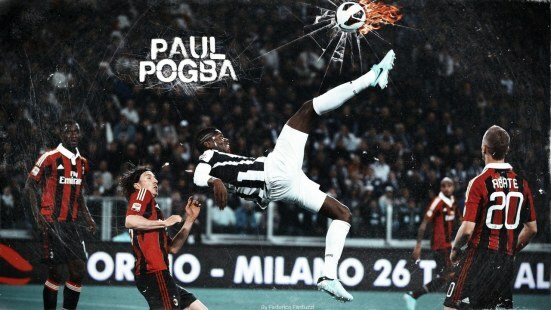 Home › Analysis › Paul Pogba (Juventus), SERIE A’s lover boy or not? 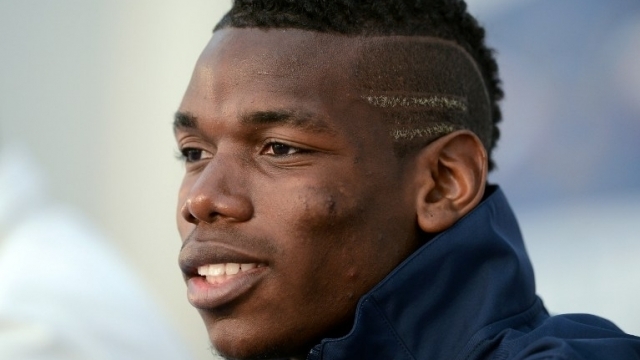 Paul Pogba (Juventus), SERIE A’s lover boy or not? 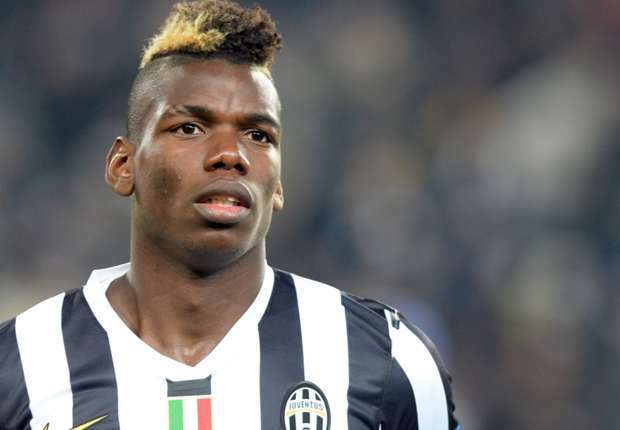 Juventus’ jewel, young french player, Paul Pogba is only 21 years old, but he’s already a seasoned footballer. He can show off in his different jerseys, like Manchester’s United, Juventus and France’s senior national team. 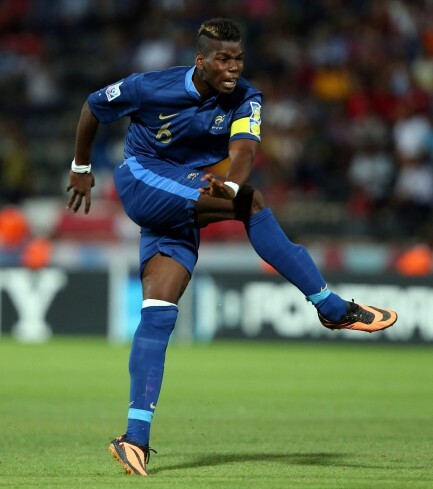 Pogba was born in France, (15 March 1993) and has two older twin brothers, both footballers Florentin in St Etienne(France) and Mathias in Pescara(Italy). Paul began his football career aged 6 playing seven years for his hometown neighbour club, Roissy-en-Brie. After one season with Torcy, the teenager joined Normandy’s professional club, Le Havre; in his second season, he captained the Under 16 team and finished second in the” Championnat National des 16 ans” behind Lens but in front of big clubs as Lyon and Nancy.In the same time, he established himself as a youth international for his country, thus attracting interest from English club Arsenal and Italy’s Juventus. On 31 July 2009 the youngster announced his departure to join Manchester’s United Youth Academy, causing havoc between his current, former and next club. 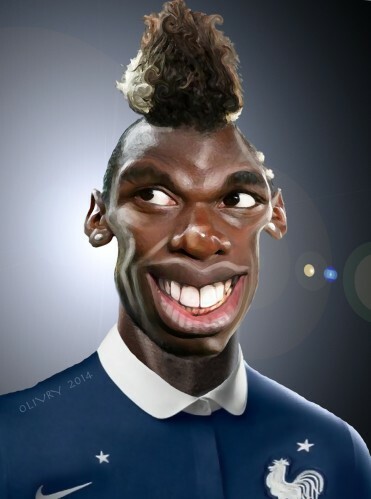 August the 1st, Le Havre FC, released an official statement asking FIFA to probe the situation between Man.U and the Pogba famlly. In response, Manchester U threatened to sue the french club, while the player’s parents denied that their son was leaving Le Havre for monetary reasons ( a house +¨£87,000 ). Le Havre, was in his turn accused by Torcy, Pogba‘s former club of using the same tactics as Manchester’s to lure Pogba, away from them. This entertaining series of events ended on October, when Man.U were cleared of wrongdoing by a judge appointed by FIFA, with the declaration that the player was not contractually linked to Le Havre. Despite having the option to appeal, the club’s officials reached a (confidential) financial agreement with the English club for the player’s transfer and that’s the story’s end. The young Frenchman made his debut with the English club with the under -18 team, against Crewe Alexandra,( 2-1 defeat ) and finished the 2009-2010 campaign with 7 goals in 21 appearances. On 19 February 2011, Pogba was promoted to first team squad by manager, Sir Alex Ferguson and made his Premier League debut as a professional player against Stoke City on 31 January 2012 replacing Javier Hernandez in the 72nd minute.Four days later, he made his European debut in the second leg of the team’s UEFA Europa League round of 16 tie. On 3 August 2912, Paul Pogba signed a four-year contract with Italy’s famous “Old Lady” Juventus and made his first competitive appearance a month later, in the Serie A game versus Chievo, on 22 Semptember.The now bianconeri player scored his first goal against Napoli in a 2-1 win. Since then, the young Frenchman was often praised by the fans and the press for his extraordinary performances. In December 2013, Pogba won the Golden Boy Award, for the best young player in Europe. Another consequence of his good Italian feats was his calling on France’s senior team, for he World Cup qualifiers and made his debut on 22 March 2013 against Georgia. He also took part with the French side in 2014 FIFA World Cup and was named the tournament’s Best Young Player. After 2 seasons and 2 “scudettos” Serie’s A championship + two “Supercoppa Italiana” and some prestigious individual awards what future for the young midfielder? Many prestigious clubs are waiting for any move of the player’s agent Mino Raiola, former pizza maker but clever enough to have in his clients list, Mario Balotelli and Zlatan Ibrahimovic ! Didn’t he sign the Frenchman on free thus permitting a very hefty cheque for his services? Every team’s manager would like to have that gem of a player; even if his place is in the middle of the pitch, he’s able to attack and defend. Pogba, was described by his former Man.U Manager as ” powerful, skilful and creative player who has an eye for goal and a penchant for spectacular.” After his transfer to Juventus he gained the nickname Il Polpo Paul (Paul the Octopus) for his long legs that look like tentacles during tackling or running , very much like former French International, Patrick Viera. Rumors about a possible transfer are more intense than before, since Carlo Tavecchio’s (Italian Football Federation’s President) declaration about ” Pogba eating bananas” The football world is still under the shock; unfortunately, this isn’t t the first time that black players have been racially abused in Serie A. Ask Balotelli ! One needs good nerves to face that constant abuse. Paul, seems happy to play for La Juve and he’s got his manager’s back up. Will that be sufficient?